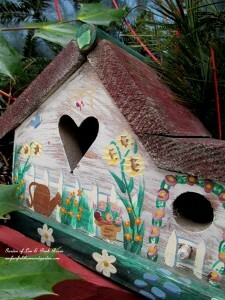 Home » Bird sanctuaries, baths, feeders and more » Heart & Home ~ Valentine’s Day is Coming! 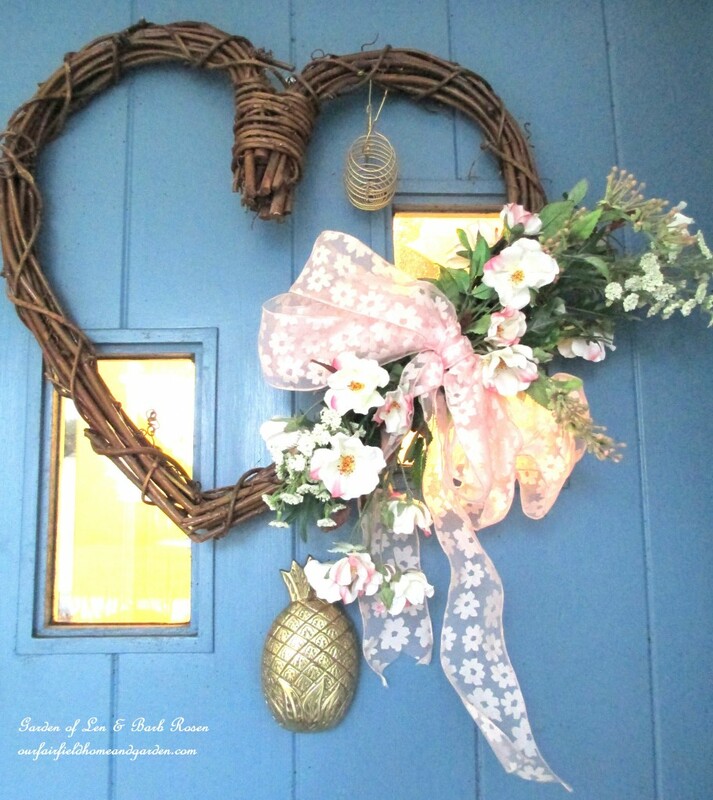 Heart & Home ~ Valentine’s Day is Coming! Mid- winter now and, besides a couple brief snows, the garden is quiet. 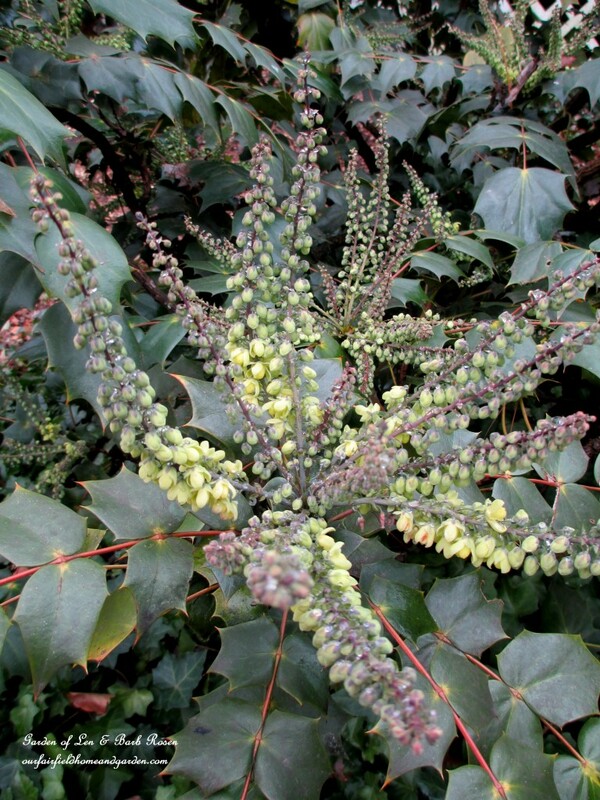 Time to look to a wonderful winter blooming shrub: Mahonia Japonica, for adding a bit of color to the landscape and outside decor. Since Valentine’s Day is in a month, I decided to change up a few outdoor displays today. 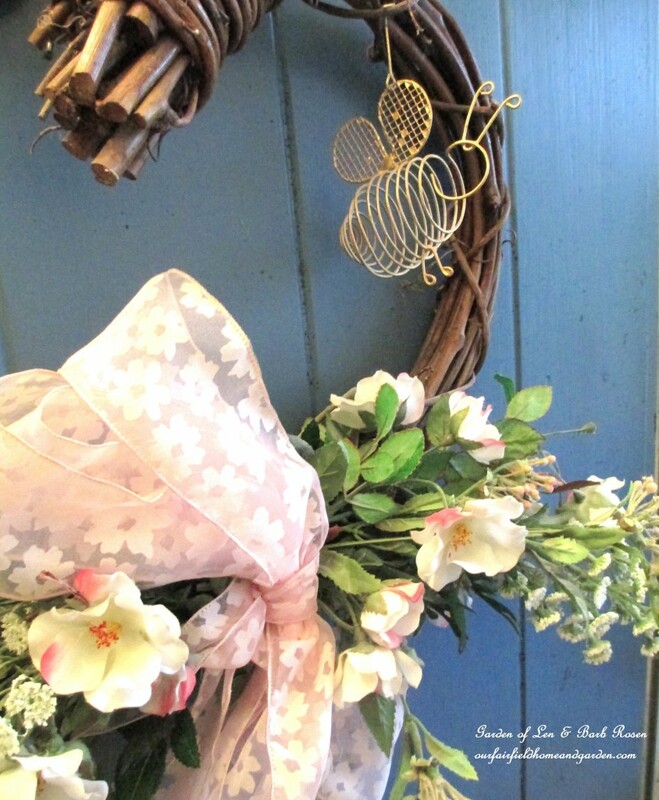 Out came the front door wreath with its golden bumble bee and sweet pink roses on a grapevine heart and a few birdhouses with just the right heart accents. 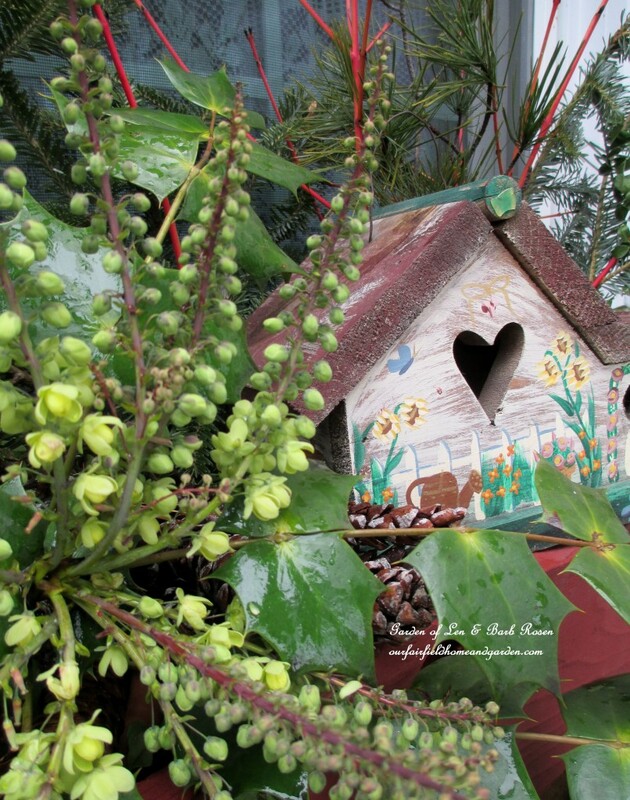 For the kitchen deck window box, I just switched out birdhouses and a few accent pieces and added a lovely piece of blooming Mahonia Japonica. This beautiful shrub is beginning to pop in our back garden and presents a study of contrasts: delicate light yellow flowers and dark-veined leaves that are both shiny and pointed like holly. 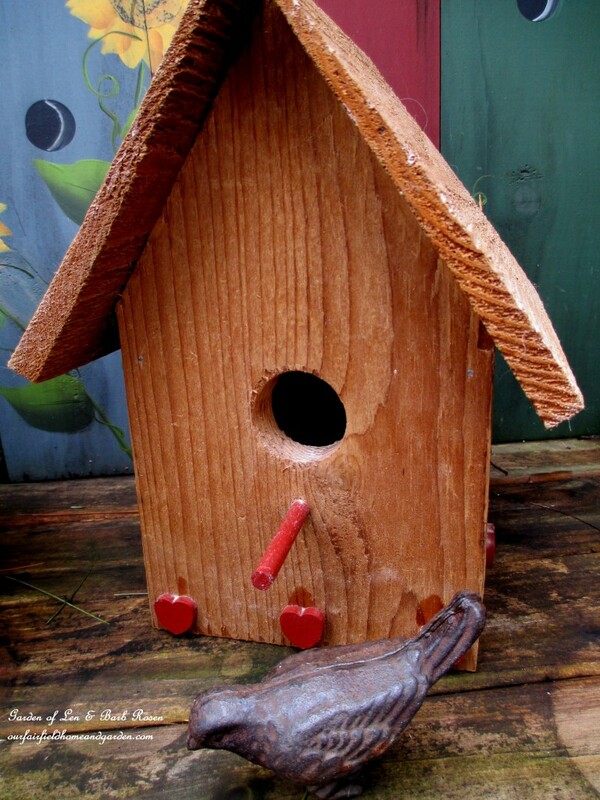 A cast iron bird perches in front of the cedar birdhouse on the deck bench. The tiny heart accents provide the subtle touch I’m after that announces the coming holiday. 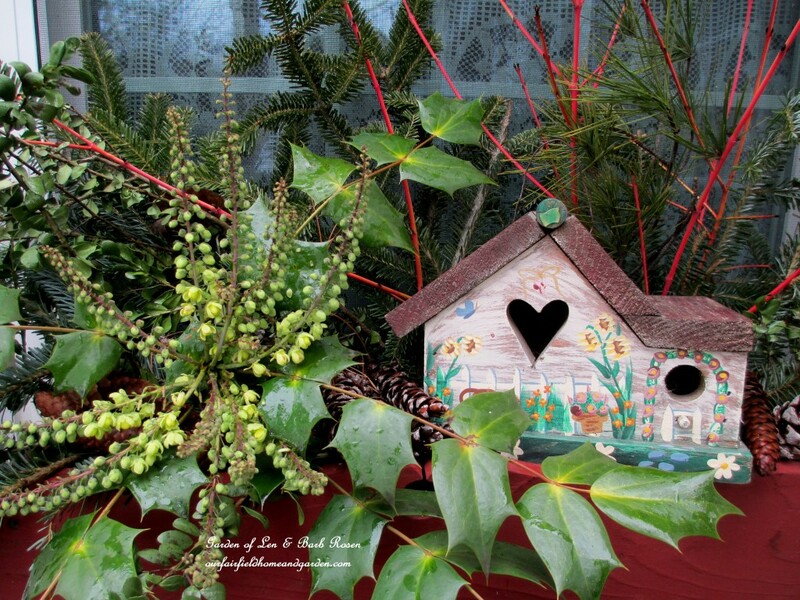 Little heart birdhouse in the kitchen deck window box!